The crowdfunding campaign for my research on New Zealand harvestmen is still active. So far we're about 25% of the way towards the goal! Please click on the link above, and do your part to support your favourite arachnologist. 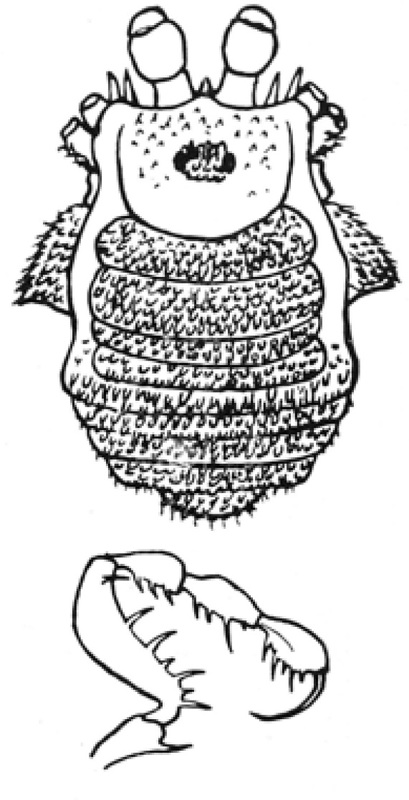 Dorsal view and pedipalp of Metereca papillata, from Roewer (1935). There can be little doubt that the continent with the least studied harvestmen fauna relative to its likely diversity is Africa. Africa is home to a wide range of harvestmen lineages, some of which are found nowhere else on earth, but many remain unrevised. Among these poorly known elements are numerous members of the family Assamiidae. Among these are the members of the genus Metereca, which I drew as the semi-random subject for this post. The Assamiidae are a family of short-legged harvestmen found in tropical regions of the Old World: Africa, Asia and Australia. I've spoken enough in the past about the shadow of Carl-Friedrich Roewer that hangs heavy over harvestmen systematics. Recent years have seen a large amount of research being conducted on the harvestmen of the Neotropics, resulting in a vast improvement in our taxonomic understanding for that part of the world. The harvestmen of the Old World, unfortunately, are yet to attract the same attention. Assamiids were last extensively reviewed by Roewer in 1935. He divided them between 17 subfamilies but in the usual Roewerian way these were mostly based on fairly superficial features (numbers of subsegments in the leg tarsi, whether the palp femur has long spines or only short denticles, etc.) that may not be that significant. Staręga (1992) published a checklist of African harvestmen in which he synonymised assamiid 'genera' that Roewer had placed in separate subfamilies, thus implicitly synonymising the subfamilies they were tied to. Metereca is a genus of about fifteen known species of assamiid found across Africa. Roewer (1935) placed it in his subfamily Erecinae, supposed features of which included simple claws and the absense of a pseudonychium (a 'false claw' between the two real claws) on the third and fourth tarsi, two subsegments in the first telotarsus, small denticles on the pedipalp femur, concealed spiracles, and no median spine on the front margin of the carapace. However, the Erecinae as defined in this way included genera from all three of the Old World continents. Considering that other harvestmen groups have turned out to have a strong correlation between geography and phylogeny, I'd be willing to put money on Roewer's Erecinae not being monophyletic. That same doubt applies to Metereca (though I'm not sure I'd put money on it this time), which is one of the larger erecine genera currently recognised. 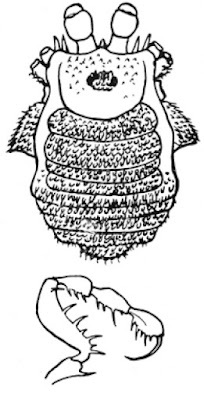 Supposed features of Metereca include a lack of dorsal spines on the body, and a four-segmented first tarsus and two-segmented second telotarsus. Species have been assigned to this genus from widely separated parts of the continent: the Congo, Tanzania, Mozambique. But not only is this a genus defined primarily by the absence of features (always a bit suspect), but other groups of harvestmen have tended to show a division between western and eastern Africa. It would be worth someone's time in the future, I think, to confirm whether Metereca really does cross the divide that others don't. Roewer, C. F. 1935. Alte und neue Assamiidae. Weitere Weberknechte VIII. (8. Ergänzung der "Weberknechte der Erde" 1923). Veröffentlichungen aus dem Deutschen Kolonial- und Uebersee-Museum in Bremen 1 (1): 1–168, pls 1–9. Staręga, W. 1992. An annotated catalogue of Afrotropical harvestmen, excluding the Phalangiidae (Opiliones). Annals of the Natal Museum 33 (2): 271–336. What'd be keeping eastern and western harvestmen apart? The Rift Valley? Good question, and one I'm not sure I know African geography enough to answer confidently. I don't think the dividing line is the Rift Valley; I think it's further west. It may simply be the division between the western rainforests and the eastern savannahs. The drier southwest (other than South Africa) is particularly poorly sampled as goes harvestmen, so the difference between east and west may yet prove more complicated once things are better studied.